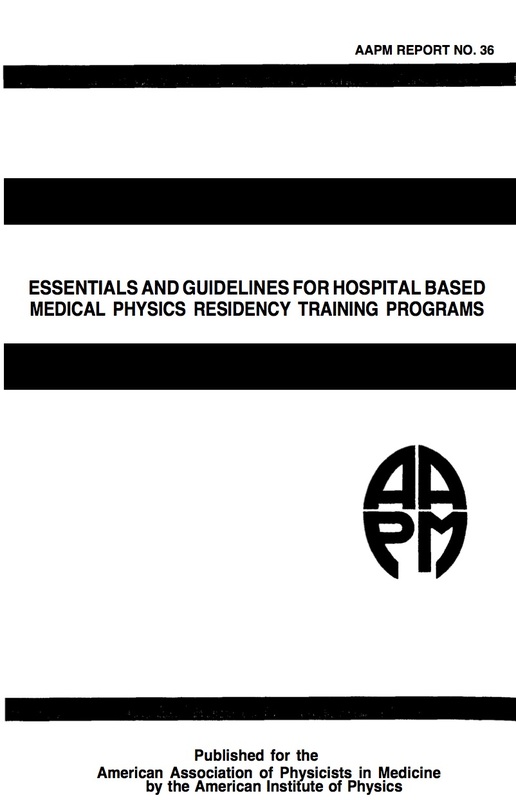 In the fall of 1988, Faiz M. Khan, Ph.D., then President-Elect of the American Association of Physicists in Medicine, established the Presidential Ad Hoc Committee on the Clinical Training of Radiological Physicists for the following purposes: 1. To gather, summarize, and analyze data concerning professional issues which relate to the education and training of medical radiological physicists such as job responsibilities, manpower, and financial support. and 2. To develop a detailed description of a hospital-based education and training program for medical radiological physicists which would include basic education requirements, course work, clinical training, and the necessary prerequisites for certification.